"With both players losing their opening encounter, this is a must-win for Cilic in particular, knowing that he faces Djokovic in his final group match." Yesterday's action in London saw two comprehensive straight-set victories in the Hewitt Group, with Kei Nishikori destroyed by Kevin Anderson, and Roger Federer easing past Dominic Thiem, to get his first victory of the tournament. Despite two straight-set wins, Anderson's qualification only falls into the 'virtually guaranteed' category - rather like a football team that needs to lose 30-0 on the last game of the season to not win the title - and there are an absurd number of qualification permutations still possible on Thursday for players to take into account. I'll try my best to add as much clarity as possible with these, during tomorrow's preview. Prior to this though, we have two matches in the Kuerten Group, with Novak Djokovic and Alexander Zverev meeting at around 1400 UK time, to get proceedings underway. For this, Djokovic is [1.20] to succeed, and I think this price is pretty accurate. Following his resurgence over the last few months, which has seen him win 24 of 26 matches - while exhibiting a 118.7% combined hold/break percentage - he looks like he's getting towards his best levels from years gone by, which is extremely ominous for the rest of the tour. Zverev's all-surface data during this time period falls into the good, but not great, bracket. He's held 81.5% of the time, breaking 27.2% (109.7% combined) which shows how far he is behind the current version of Djokovic, and this was also evidenced by a 6-2 6-1 thrashing at the hands of the Serb in quick conditions in Shanghai last month. In addition, Zverev's record indoors during 2018 isn't anything spectacular - 105.0% combined - and he hasn't been able to replicate his excellent indoor year of 2016 since. With all these factors considered, Djokovic looks a worthy strong favourite to get his second win of the tournament. Rather like the Hewitt Group already discussed, the Kuerten Group also has a high likelihood of numerous last-round qualification permutations following the evening match, with Marin Cilic a [1.57] favourite to get the better of John Isner, which again, I do make pretty accurate. My model has the Croat at [1.62], with Isner back at [2.61], which is pretty much in line with market pricing in what I anticipate to be quite a serve-orientated encounter, with both players having projected hold percentages around the 90% mark, with Cilic up at around 95%, bearing in mind Isner's obvious issues on return. Despite the match likely to be dominated by servers, I still only make a first set tiebreak around a 40% chance, making the 5/6 with the Sportsbook about this eventuality a rather short price. It would have been interesting to see what price would have been offered for under 12.5 games. 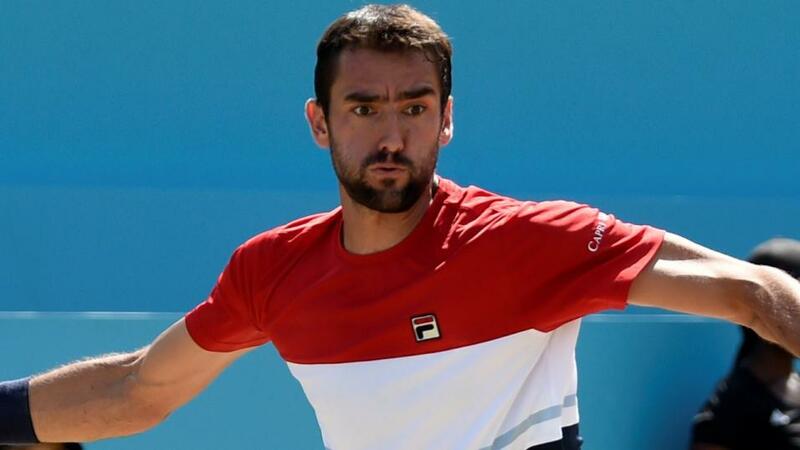 With both players losing their opening encounter, this is a must-win for Cilic in particular, knowing that he faces Djokovic in his final group match. Having already played Djokovic, Isner is in better shape than Cilic, and it is far from impossible that he could still have a viable chance of qualification with a tight loss here tonight. I'll be back tomorrow to discuss the numerous qualification permutations in the Hewitt Group, and to assess whether Kei Nishikori can bounce back from yesterday's humiliating defeat to Kevin Anderson, for his must-win match against Dominic Thiem.